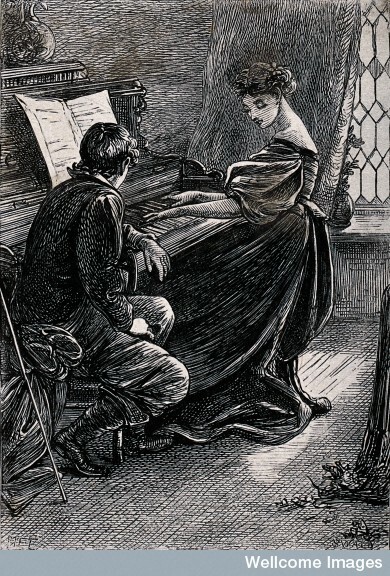 The piano has a rich and interesting history. Its origins go all the way back to around 5,000 years ago. 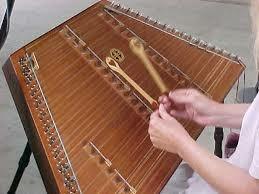 The first stuck string instruments were called hammered dulcimers. These instruments consisted of pretty much nothing but strings, a soundboard, and a stand. The soundboard for the dulcimer was generally trapezoidal and positioned on the stand at an angle facing the musician. To play the dulcimer, the musician would hold two mallets in their hands and tap the strings to produce the desired sound. 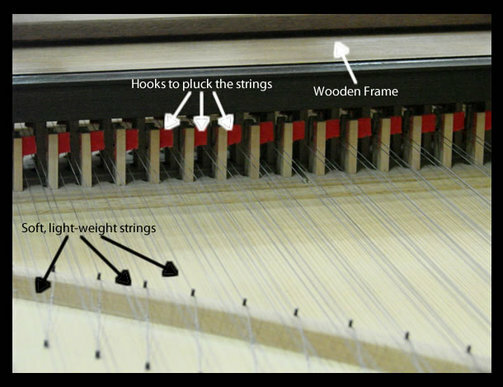 You can see now how this very basic, mallet to string design would eventually lead to the more complex hammer-string system within our beloved pianos. The hammered dulcimers were used particularly in The Middle East, Asia, and Europe. As time went by, people started to find better ways to use stuck string instruments. 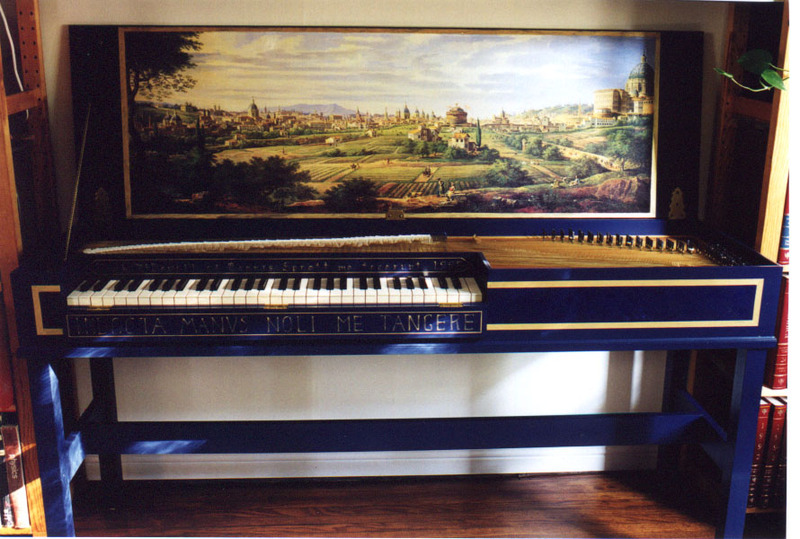 By the 17th century, instruments like the harpsichord and the clavichord were in wide circulation. 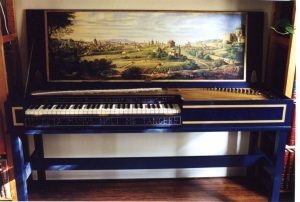 These instruments used a keyboard to either strike the strings (clavichord) or pluck the strings (harpsichord). This definitely made it a lot easier to play multiple notes in frequent succession. 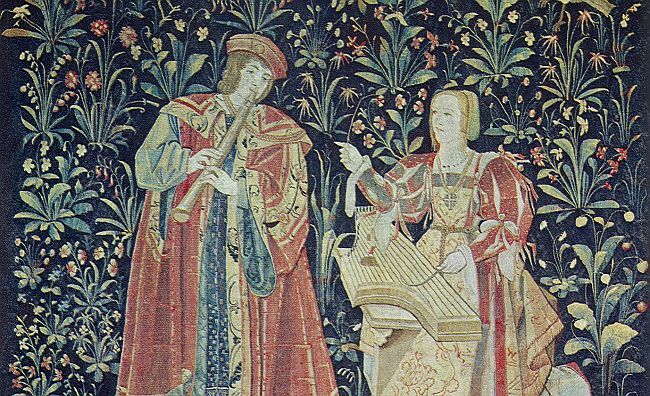 The harpsichord and the clavichord were created during the middle ages and are still played by prominent musicians today. Both have their unique and beautiful sound, but in our opinion, there is one stringed instrument that reigns over all the rest. 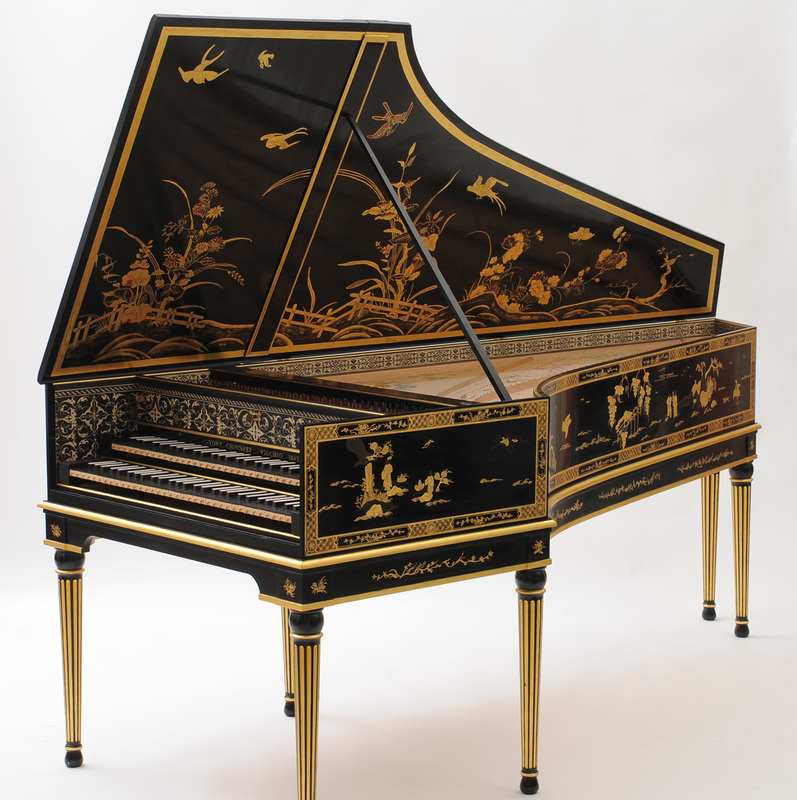 The harpsichord and the clavichord are great instruments and they laid the framework for the musical glory that is The Piano. 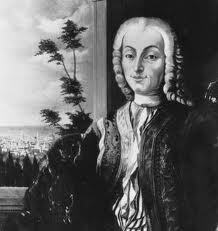 Little is known about Cristofori’s early life other than the fact that he was born in Venice around 1655. When he was 33, he was recruited by Prince Ferdinando de Medici to be the musical technician and caretaker for the Prince’s many beloved musical instruments. Cristofori moved to Florence in 1688 where, for a time, he tuned, maintained, and moved said instruments for the Prince at the Medici. As he got himself settled in, Cristoforio immediately started to show off his intuition. From 1690 to around 1699 he invented two string instruments: the spinettone and the oval spinet. It wasn’t until around 1698 that Cristoforio created the instrument that we’ve all grown to love. 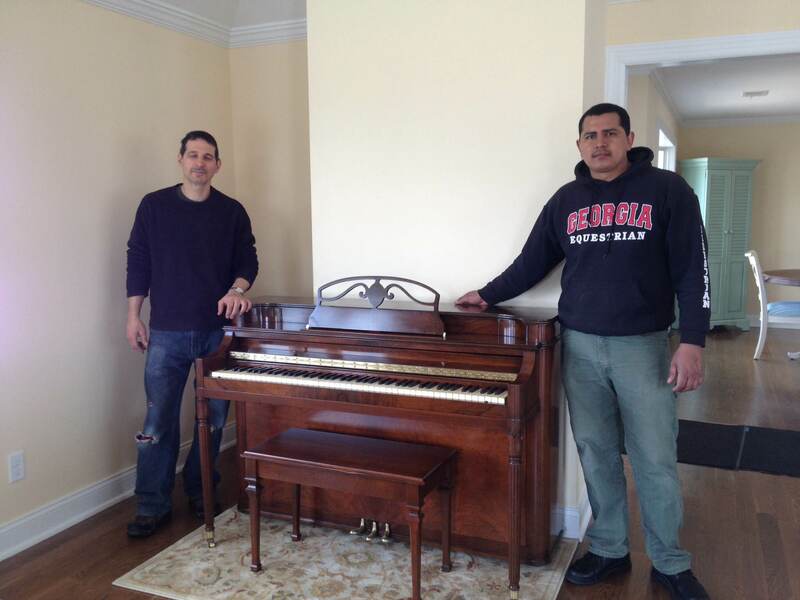 In 1700 the first piano was inventoried in the Medici. 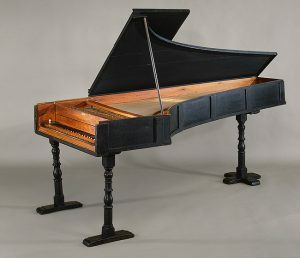 A 1720 piano built by Bartolomeo Cristoforio residing in the Metropolitan Museum of art in NYC. This instrument has been altered significantly since its creation. It was reveled for being able to play both soft and loud notes, however it only stretched four octaves. 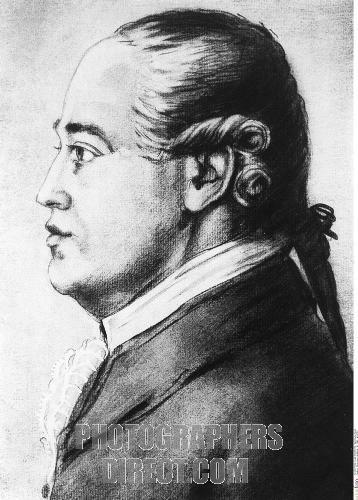 Cristoforio called his creation the “harp-harpsichord” or “Arpicembalo” but time inevitably has its effect on things, and it eventually became referred to as the piano. The reason for this inexplicable name change is that the original entry for the piano in the inventory read as follows: “A large Arpicembalo by Bartolomeo Cristofori, of new invention that produces soft and loud…” the part that says, “that produces soft and loud” translates to “che fa’ il piano, e il forte.” People originally just ignored Cristoforio’s name of choosing and called the instrument pianoforte or “soft-loud.” Eventually the name was simply shortened to piano. Bartolomeo Crisoforio died on January 27th, 1731. The picture featured above is a photo of the only portrait every painted of him. The portrait itself was destroyed in World War II. Cristoforio’s work inspired more musical creators and thinkers to start inventing. Among these people where Gottfried Silbermann, an organ builder who created the first damper-lifting pedals for the piano. 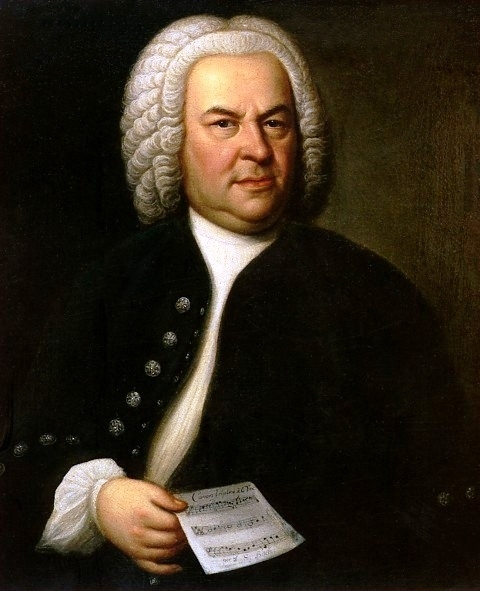 As time went by, the piano got significantly more popular and famous musicians and composers like Johann Sebastian Bach and Wolfgang Amadeus Mozart started creating their beautiful concertos and sonatas with the instrument. By the time of the industrial revolution, the piano had undergone some pretty siginificant changes. 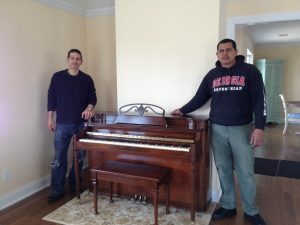 The hardware in the interior of the piano was of better quality, with stronger strings, and a more precisely molded frame. 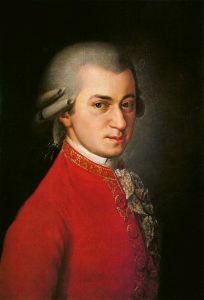 Not only that, but between 1790 and 1860 pianos were starting to be developed with 7 1/3 octaves (as they are today) as opposed to the mere 5 octaves previously featured (an improvement on Cristoforio’s original 4 octaves). Today we live in an age where almost anything is possible. Our musical instruments have been significantly influenced by technology and increasingly creative and intelligent minds. Not only do we have electric keyboards, but we have computers and technologies that make those keyboards sound synthetic and cool. We’ve come a long way since Bartolomeo Cristoforio and his four octave harp-harpsichord. If the great inventor himself somehow was to show up in a time machine, He might not be impressed by what has become of his piano (or this world for that matter) but he would certainly be impressed by the fact that 283 long years have not shaken our natural, human love for music, especially the beautiful music of the piano.